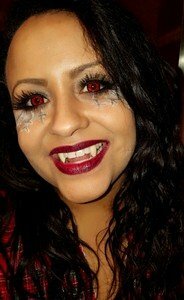 Feel your blood rise with our Twilight Volturi Vampire Contact Lenses. 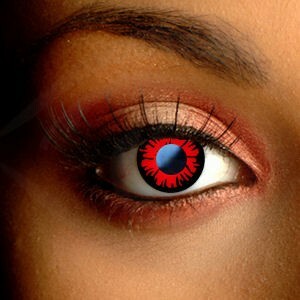 These vibrant contacts have the classic Volturi red color with a defined outer ring to make your eyes really "pop". 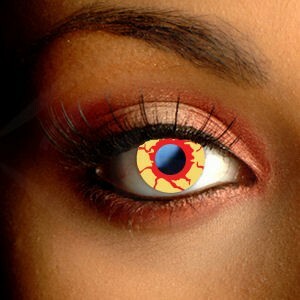 These funky Contact Lenses make it easy to transform your look for Halloween, fancy dress and edgy fashion statements. These fashion contact lenses offer exceptional comfort and great value - choose a pair of lenses for a freaky Halloween style. I've bought a lot of different lenses from several places but these are by far the best and I plan on purchasing all other lenses from this site. 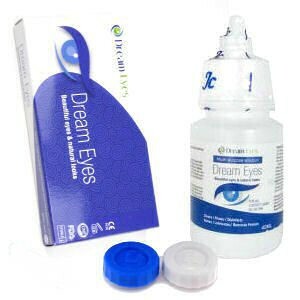 I have bright blue eyes so the blue always seemed to show through until these! I LOVE THEM!!! They cover completely and no blue shows through!